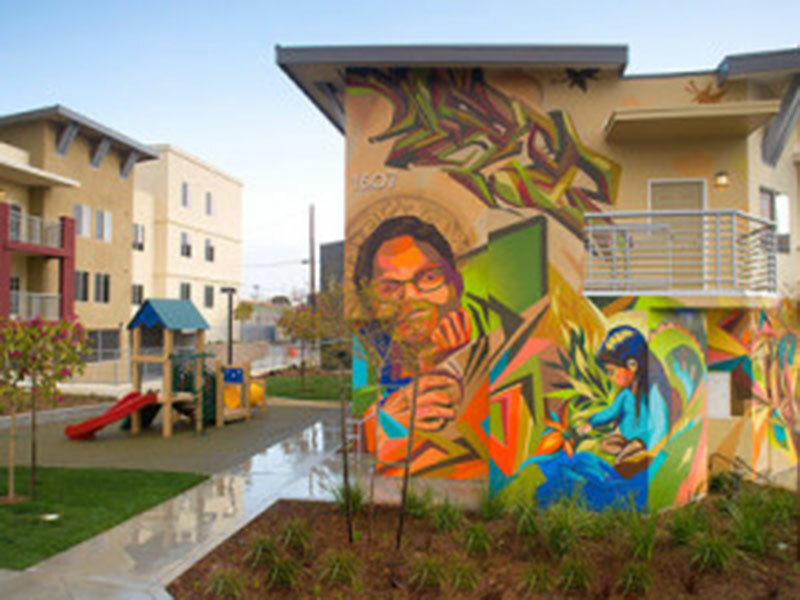 Gateway Apartments is located on Logan Avenue and 16th Street, adjacent to the East Village section of the Centre City Redevelopment Project Area, and contributes to the ongoing revitalization of the Barrio Logan neighborhood. 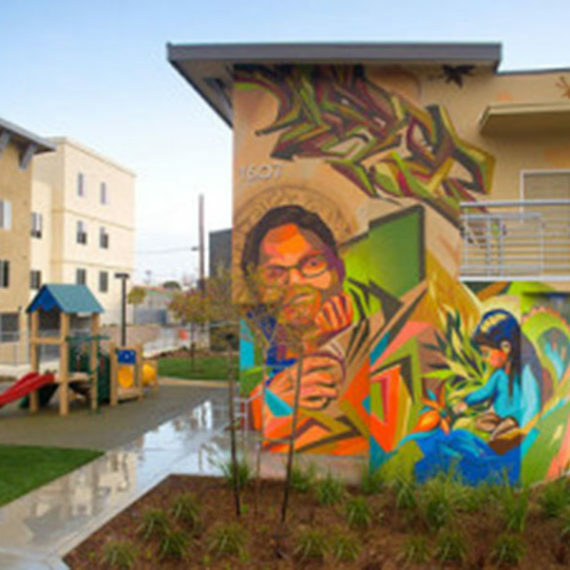 The community is affordable to families earning between 30 % – 50% of the area median income. To help preserve the area’s appearance and culture, local artists were recruited to design murals and create ceramic tile art. The two and three bedroom units feature interior entrances, plush carpeting, built-in kitchen appliances, cable TV hook-ups and free high-speed internet service. 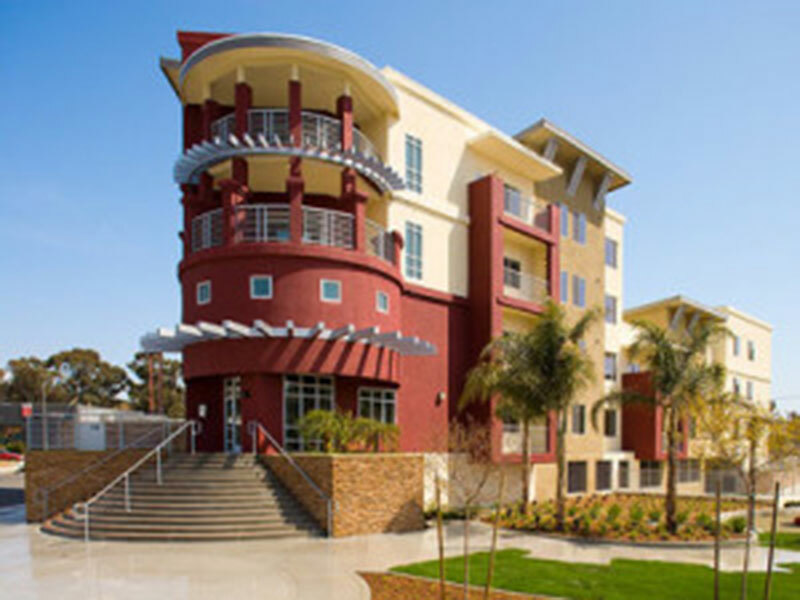 The complex also includes a community building with a clubhouse and multi purpose room for social service programs, full-service kitchen, a children’s play area, a media center with large screen TV, video and DVD, a computer learning center with computer, fax and business services for residents. Gateway is located near public transit, schools, child care, shopping and recreational facilities. 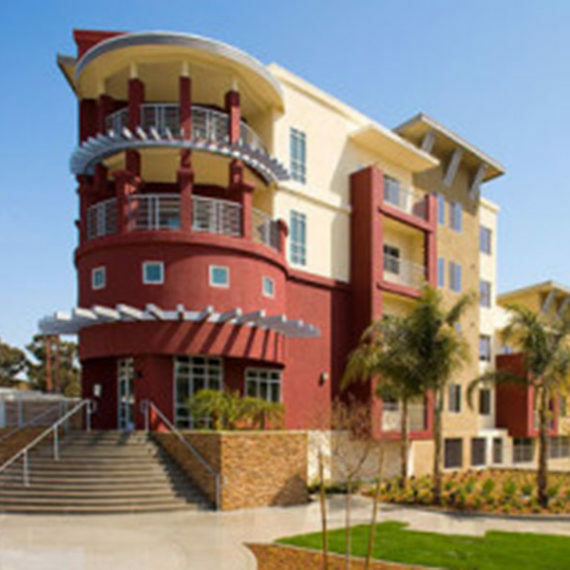 It is only four miles from the world renowned San Diego Zoo and less than one mile from San Diego’s famous PETCO Park, home of the San Diego Padres.